As Gambling addiction shares many similarities with drug addiction or alcoholism it's not surprising that similar treatment approaches seem to work. So just as the 12 steps of AA or NA offer a program of recovery to substance abusers, the 12 steps of GA (Gamblers Anonymous) based entirely on the original 12 steps of AA, provide a framework for a life of recovery from pathological gambling. Not everyone finds GA helpful, but meetings are free, are full of people with similar challenges - overcoming similar problems, and the 12 steps of GA work for enough to make giving a few meetings a try well worthwhile. Gambling addiction (often termed compulsive gambling in GA literature) is a progressive condition, and without intervention, it always gets worse. Gambling addicts are addicts for life, the 12 steps work to induce remission, but a gambling addict may never wager again. Only through a belief and reliance on a higher power, can a gambling addict achieve recovery. A higher power need not be God in the traditional sense, but must be a power outside of yourself, and cannot be another living person. Only through a committed and purposeful working of the steps in daily life, can an addict achieve remission. Gamblers Anonymous is free, and the only requirement for entry is a desire to stop gambling. GA advocates preach 12 steps participation as the most effective way to overcome a compulsion to gamble. Addicts in recovery must work all of the steps, must use the assistance of a higher power in recovery, and must work the steps on a daily and continuing basis, forever. There is no cure, only a remission. For recovery to work you gotta work it - they're called steps for a reason! 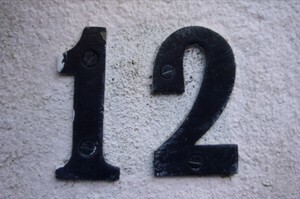 The 12 steps are an active program of recovery, requiring of you active participation. Simply attending meetings does little without a belief in the process, and a willingness to change your life in some fundamental ways. GA believes that Gambling addicts are fundamentally selfish and immature and insecure people, and that only through a committed working of the steps can a Gambling addict recover not just away from destructive betting, but also achieve recovery through personal growth. In early recovery, compulsive gamblers should attend meetings often; with increasing abstinence, some members will attend more infrequently - still getting the support they need. But a true working of the steps requires a new self awareness, and a changed way of thinking at all times, not just during meetings. Gamblers in recovery must pray daily to their higher power for support, they must make amends for any wrongdoings as soon as possible, and look deeply at their behaviors for these wrongdoings on a daily basis. Gamblers must also continue, for the rest of their lives to help others new to recovery achieve freedom from gambling addiction. It's a big commitment, but it's far preferable to the alternative, and if a 12 step lifestyle can work for you, it's well worth any sacrifice!